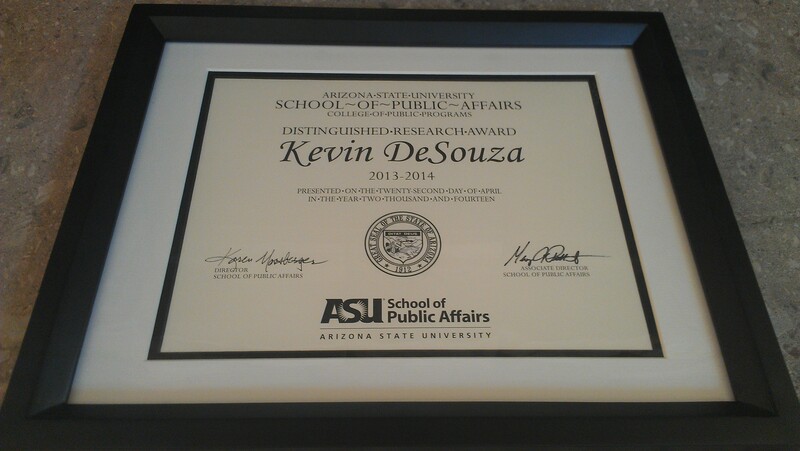 Received the ASU School of Public Affairs Distinguished Research Award for 2013-2014. I want to acknowledge the contributions made by the graduate students, researchers, and practitioners that I have the opportunity to collaborate with and learn from on a daily basis. See here for the list of all award recipients. I just returned from a wonderful trip to Chicago. During my visit, I had the opportunity to talk with senior leaders of the University of Illinois at Chicago. At a special event called Celebrating the College of Business Administration (CBA), I was honored by being inducted into the Alumni Leadership Academy (ALA) as part of the 2011 Class. 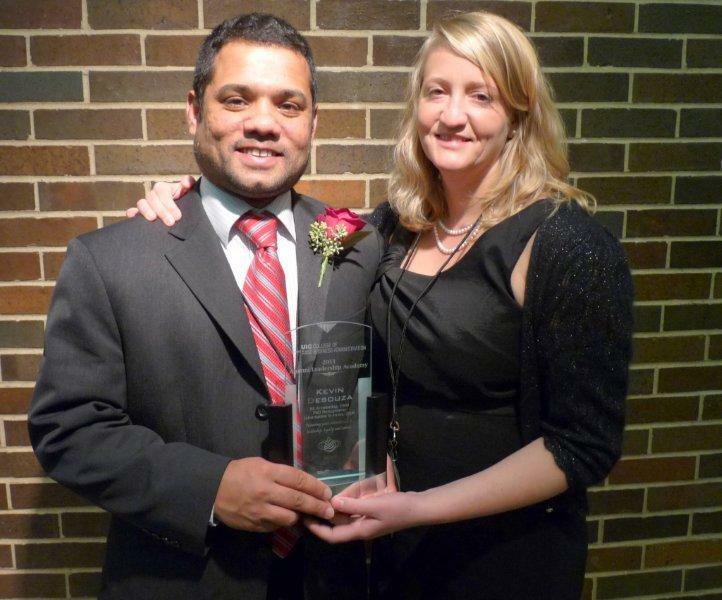 "The ALA celebrates those alumni who best exemplify the College of Business Administration's commitment to leadership, teaching, research and service. Inductions to the academy are held every year to honor outstanding CBA alumni whose contributions in these areas raise the stature and standing of the college." 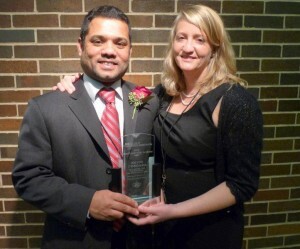 I dedicated my award to the undergraduate advisors I had during my time at the CBA.